A bouquet of flowers or a nicely done floral arrangements is more pleasurable if they will last longer. Here are 5 ways you should not miss in extending the life of your cut flowers. Trim the stem under water or under running water.Trim the end of each stem with a sharp, non-serrated knife under water at 45-degree angle. Make sure to submerge it in water after trimming so as to avoid air pockets to form that can block the path of water into the stem. Never ever use scissors as it can crash the flower stem and can cause it to die quickly.Tip #1: When cutting flowers from the garden, do it early in the morning when the temperature is still cool. Then, place them in water immediately.Tip #2: To improve the life of flowers that ooze a milky “sap”, immerse its bottom by 2 inches in boiling water for 10 seconds before using them in an arrangement.2. Remove wilted petals and leaves. Any leaves or foliage submerged in the water will break down and can cause bacteria to form. So remove any foliage from the part of the stem that will be submerged in water. Tip #1: Don’t jam too many flowers in the vase as overcrowding stems can wilt them more quickly and release bacteria into the water. Tip #2: Always pluck out wilted stems and leaves to keep the flowers looking fresh and avoid bacteria from forming. Put the arranged flowers in a clean vase. Before you arrange the flowers to your vase, make sure they are clean and free from any bacteria. Use dish soap, hot water, and white vinegar or bleach to clean the inner side of the vase. A teaspoon or two of sugar and bleach, when added to the water, can feed the stems of the flowers and keep the water free from bacteria. Feed the cut flowers with solutions or preservatives. One part Lemon-lime soda and three parts water. Plus ¼ teaspoon household bleach per quart to keep solution clear. 2 tablespoons lemon juice, 1 tablespoon sugar, and ¼ teaspoon bleach per quart. Add another ¼ teaspoon bleach to vase every 4 days. Commercial flower preservative sold in flower shops and supermarkets. Tip: Aspirin or vinegar is rarely effective. Change the water on the vase every other day and keep the flowers away from direct heat. Change the water and cut the stem of the flowers at least every other day. Keep them out of direct sunlight or any place that exposes them to heat such as heaters, fireplaces or appliances. Keep the flowers cool. The higher the temperature, the faster they deteriorate. 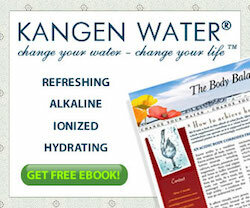 The use of KANGEN WATER has also been known to keep your flowers to last longer. I am a gardener and you may be too. I thought this article rather interesting. Nourishing vegetables and flowers with Enagic® Water in your own garden means you can save money at the grocery store and florist, reduce (or eliminate) the amount of pesticides in your home, and even cut down on all the wasted resources associated with transporting plants, flowers, and produce across the globe. Lowering your carbon footprint has never been so rewarding! You can even use your fragrant flowers to make your own perfume. Most of these plants show optimal growth in the 7.5 – 8.5, so you can experiment between Kangen Water® 8.5 and Neutral Water (pH 7.0) to find the best results. The pH of your soil will have a big impact on which water you should use. These plants include: asparagus, beets, cabbage, cauliflower, celery, carrots, mushrooms, parsley, geraniums, irises, phlox, vinca, hydrangeas (for pink blooms), and lilacs. Hydrangeas are a rare plant, as the pH of your water will change the color of the blooms. Some plants prefer slightly acidic water and soil. Set your SD501 to pH 5.0 for the following vegetables and plants: rhododendrons, begonias, azaleas, heathers, hydrangeas (for blue blooms), peanuts, cucumbers, potatoes, dill, leeks, chili peppers, eggplant, garlic, chives, artichoke, tomatoes, and most berries. Roses grow most vibrantly with pH 5.5 – 6.5, so you may want to experiment with Slightly Acidic Water (set at pH 6.0) and Neutral Water (pH 7.0) to see which one yields the healthiest roses with your particular soil. Remember to always take into consideration the pH of your soil when you choose which Enagic® Water to use on your plants. No matter which Enagic® Water you choose for your garden, you can have peace of mind that your plants will be healthy with this clean, high-quality water. And think of how delicious your fruits and vegetables will taste after they’ve been watered with your Enagic® machine instead of chlorinated tap water! Gardening is a fun, sustainable, and environmentally responsible decision that will help sustain your family’s overall wellness. You and your children have much to gain from greening your home with a garden. 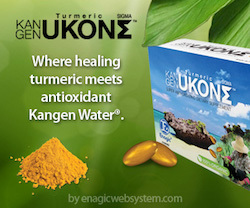 Find out how you can improve your life and surroundings by growing your very own Enagic® Garden! 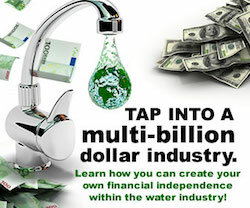 You will find a free Ebook on the subject plus you can learn about the great compensation plan that it has if you are interested in a very profitable home base business. I did not know this about the nutritional value of cucumbers. Cucumbers are one of my most highly recommended vegetables, and if you have a garden, you can easily grow them at home. Aside from being able to control pesticide and fertilizer use, you’ll also avoid the wax applied to many commercially sold cucumbers. There are dozens of varieties that thrive in both cool and warm climates, although they can be a challenge to grow if temperatures are consistently in the mid-90s. While made up of 90 to 95 percent water, cucumbers still manage to provide a host of valuable nutrients, including vitamins A, B5, C and K, along with manganese, potassium, magnesium, molybdenum, copper, silica and fiber. Cucumbers also contain lignans that bind with estrogen-related bacteria in the digestive tract, contributing to a reduced risk of several cancers, including breast, uterus, ovarian and prostate cancer. Other phytonutrients called cucurbitacins — part of a larger group known as triterpenes, and the part of the cucumber that gives it a bitter taste — also inhibit cancer cell development. Preliminary findings also suggest cucumbers have antioxidant and anti-inflammatory properties. In traditional medicine, cucumbers are used to treat headaches. The seeds are diuretic, and the juice — thanks to caffeic acid and vitamin C — can be used as an acne treatment and a soothing remedy for tired, puffy eyes. 2. A giant Celtic cross design, only visible from the sky, has been discovered growing in an Irish forest. The 100-meter (330ft) long religious symbol remained undetected for years until airline passengers noticed it while flying overhead. The cross in Killea forest in county Donegal caused much confusion until an investigation by UTV revealed it wasn’t aliens bored with crop circles but was instead planned by Liam Emmery, a very creative and talented forester. Meticulously planting hundreds of trees over a period of years Emmery was able to plan out the design which would reveal itself every autumn to those flying overhead. 3. There is a “Hangover Bar” in Amsterdam . It’s the first of its kind in the world – a mecca for anyone who partied a little too hard the night before. Only open from Friday to Sunday, The Hangover Bar has everything a boozer needs to get back on track. There’s no cheating your way in for a free bed either – there are ‘hangover inspectors’ guarding the doors. They breathalyze you on entry to make sure you still have alcohol in your system – the very opposite of a sobriety test. Once inside, a green oasis awaits, ready to meet all your hangover needs. There are beds laid out with accompanying televisions to play your favourite TV shows. Green turf and towering pot plants weave their way around them, and there’s an oxygen bar to speed up the recovery process. Foodora has created a special food menu featuring vitamin-boosting smoothies. Essentially, breaking eye contact allows us to better choose our words. Looking someone in the eye may help us better establish an emotional rapport, but looking elsewhere may actually stimulate better conversation.